There’s no shortage of poker training sites, but most are geared toward online play and charge a monthly subscription fee. Not Chip Leader Coaching, which launched in 2016 with a focus on live multi-table tournaments (MTTs), and a business model that charges students only when they win. Just over a year old, Chip Leader Coaching was founded by World Series of Poker bracelet winner Chance Kornuth, who took a few students under his wing. Now, the stable has grown to more than 40 students being guided by six coaches, including Nick Petrangelo, 2015 WSOP Main Event champ Joe McKeehen, Ryan Leng, Ryan Jones, and CardsChat Ambassador Ryan Laplante. Chip Leader Coaching has already paid off big for several students. This past summer, Nipun Java won two WSOP gold bracelets and $468,536 in prize money, while Alex Foxen just finished runner-up in the World Poker Tour Five Diamond World Poker Classic for more than $1.1 million. John “KasinoKrime” Beauprez is helping run the business side of things for Chip Leader. He spoke with CardsChat about the unique business model, and the void it filled in poker. Chip Leader Coaching is designed specifically for live mid-stakes MTT grinders, and to help them reach the next level, they offer one-on-one sessions with instructors. That percentage is actually five percent of gross cashes up to $400,000 total. Satellites aren’t included, and only tournaments that get listed on Hendon Mob qualify towards the contract, which is in effect until students hit $400K in winnings. Students only pay when they win, meaning they don’t owe until and unless they put up results at the table. Students are guaranteed a minimum of 20 hours of personal coaching. They also receive access to online webinars, full access to video archive, group lessons, and access to a private Discord channel where they can post strategy, chat with pros, and interact with fellow learners. Chip Leader Coaching is not open to everyone. Interested students must pass a rigorous application process, and then sign an agreement to be paired with a coach. And it’s not just on-the-table success that matters. 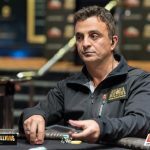 With the plethora of training sites or staking stables available online and no shortage of new ones emerging it makes one wonder if it isn’t more profitable to coach poker than it is to play poker. To enroll with Chip Leader one must enter an agreement for “five percent of gross cashes up to $400,000” which “is in effect until students hit $400K in winnings”. No matter what, Chip Leader receives $20,000 for a guarantee of 20 hours of one on one coaching and that equates to $1000 an hour per student. Before even being made an offer one must “pass a rigorous application process” which I assume means you must prove you are already a profitable player or show very high potential of becoming one. I wonder how many professional poker players can claim a win rate of $150 per hour? Just for fun I randomly picked a pro from the Hendon Mob website . 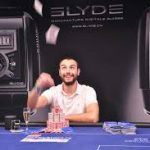 Paul Chanderson is 696th on the US All Time Money List, 1257th on the World All time money List and has a Global Poker Index Ranking 1476th. In the $ 350 No Limit Hold’em – LAPC25 Kickoff Event #1 at the 2018 WPT L.A. 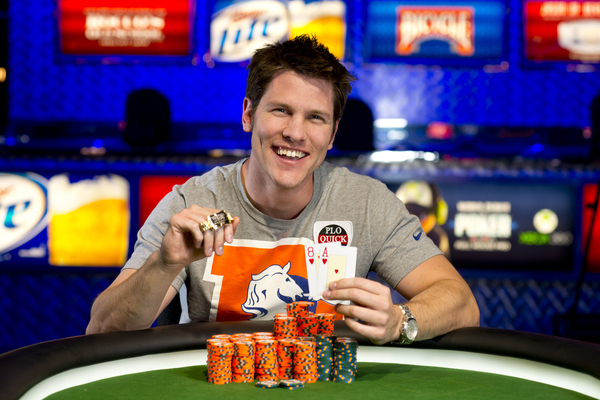 Poker Classic, Los Angeles in which there were 3,956 entries he finished 178th for a payout of $1,160. That is his total cashes year to date. As it was a 3 day tournament it would seem reasonable to say he went late into day two. Lets guesstimate he played for 14 hours for this one tourament alone and for the entire month of January he will have played another 122 hours for a total of 136 hours and cashes one more time for $1340. HIs gross hourly win rate given these parameter would be $18.38 an hour.